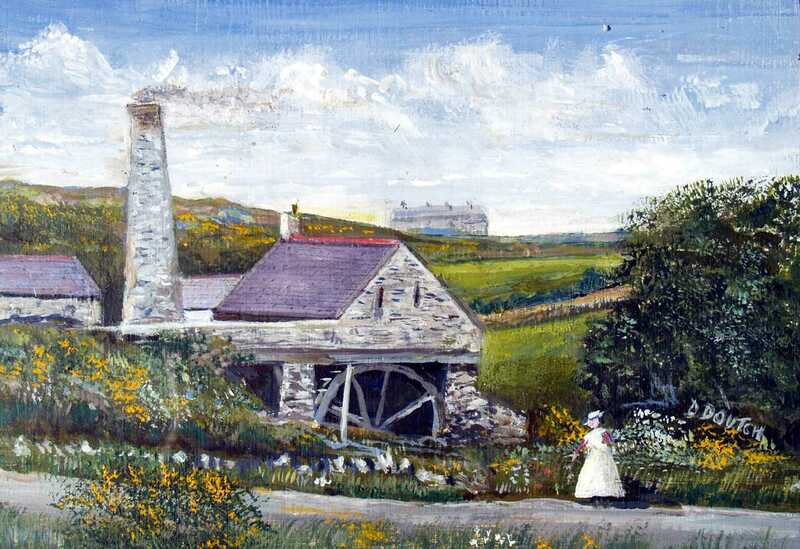 Holyhead, Llaingoch / Porthyfelin Water Mill - Felin Ddwr Water Mill on the Isle of Anglesey (Ynys Môn) in North Wales. 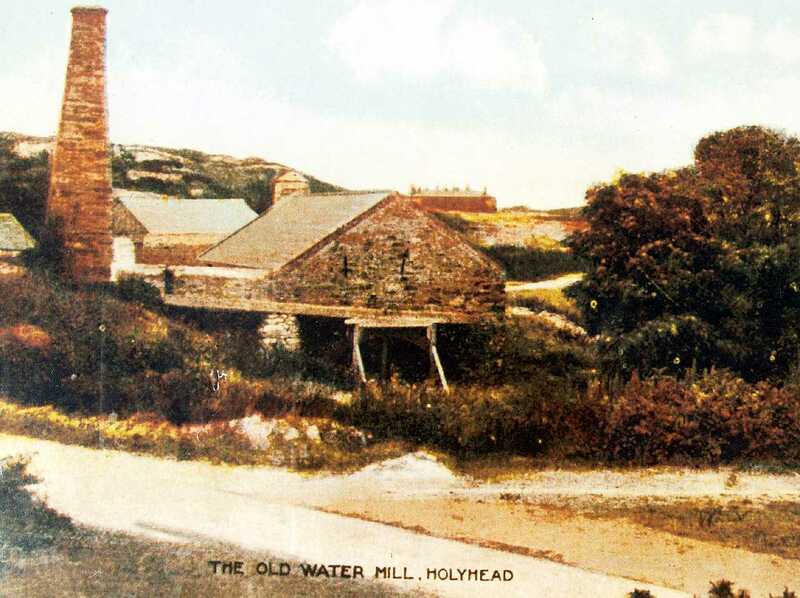 Anglesey, Holyhead, Llaingoch, Y Felin Ddwr Watermill in the 1900's. 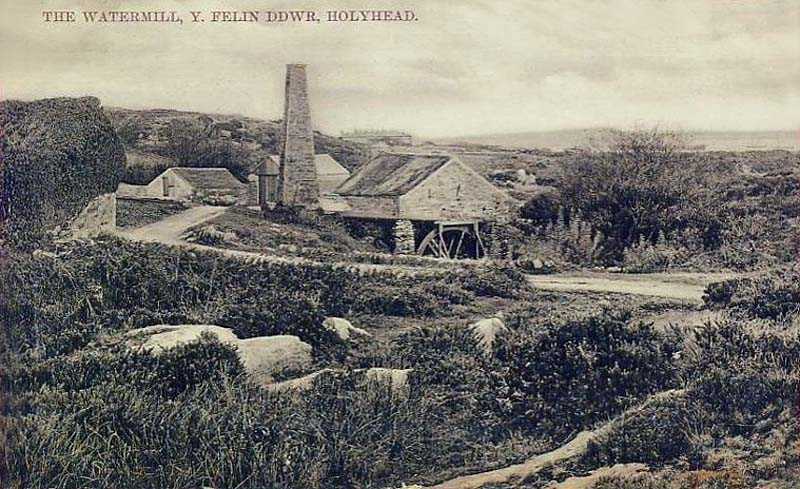 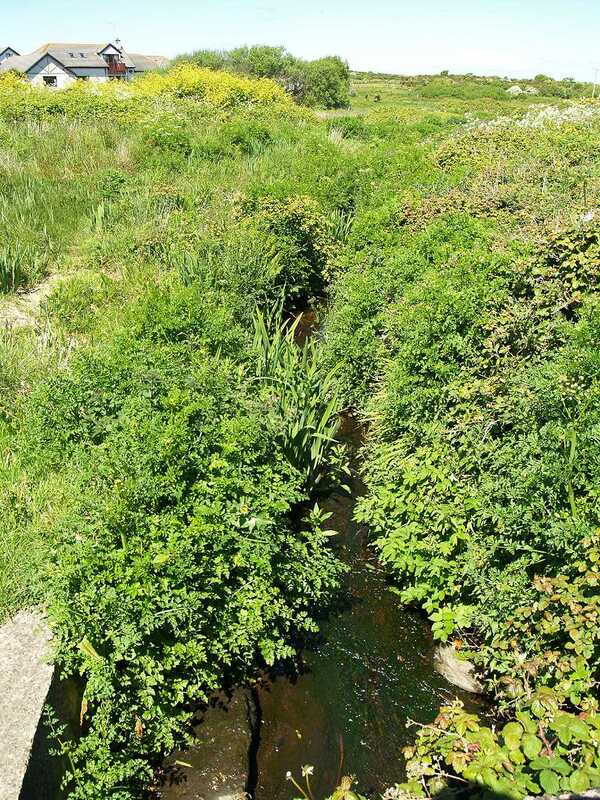 Felin Ddwr Water Mill was situated roughly halfway between Llaingoch and Porthyfelin in Holyhead. 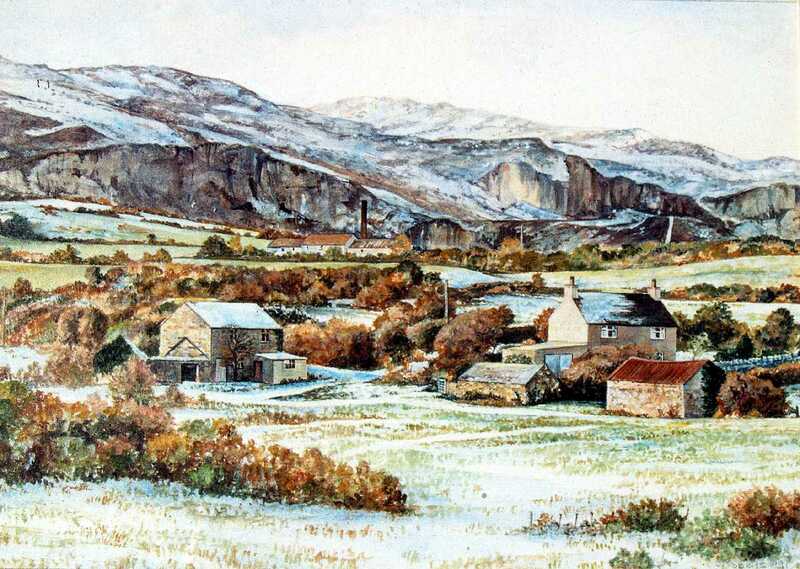 Corn from the mill was used to bake bread to feed the workers at the breakwater quarry, and those involved with the construction of the breakwater. 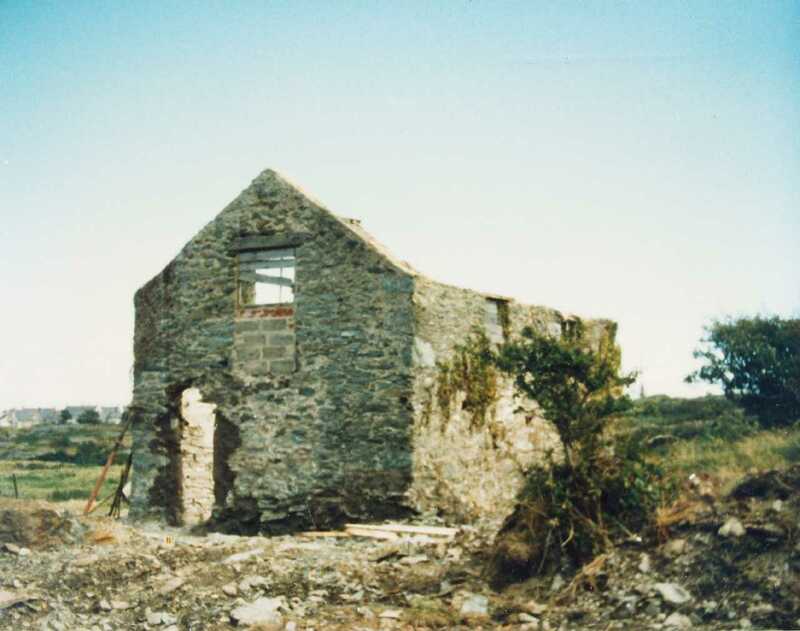 I am told that the mill itself was possibly still in evidence as late as the 1970's, but as yet cannot substantiate that information. 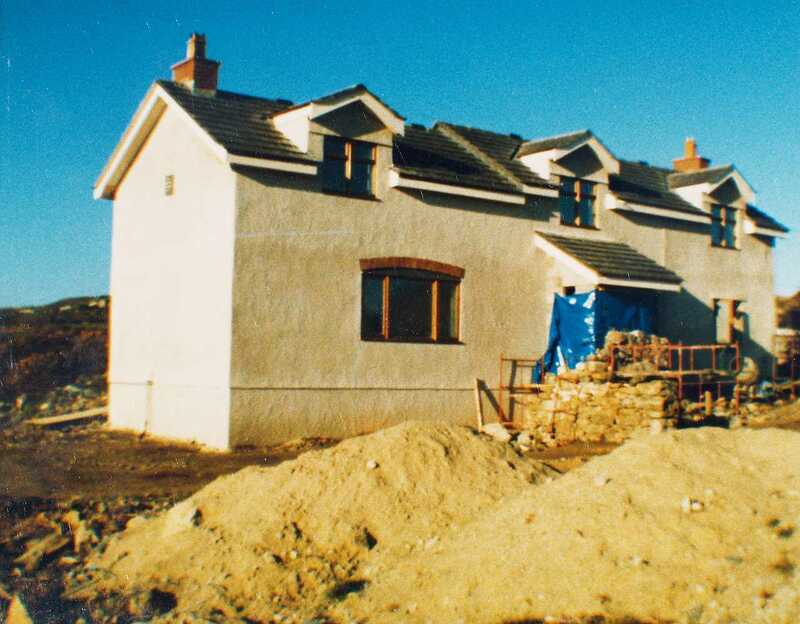 What is clear is that the Mill complex Granary was converted to a dwelling, as was the millers house. 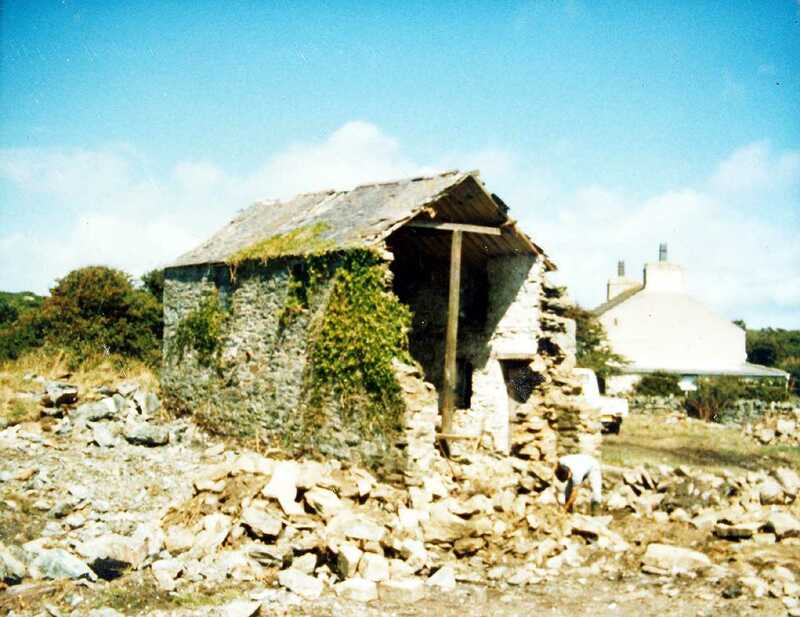 The present owner of the converted granary - Alan Thomas - kindly showed me around and shared his photographs with me. 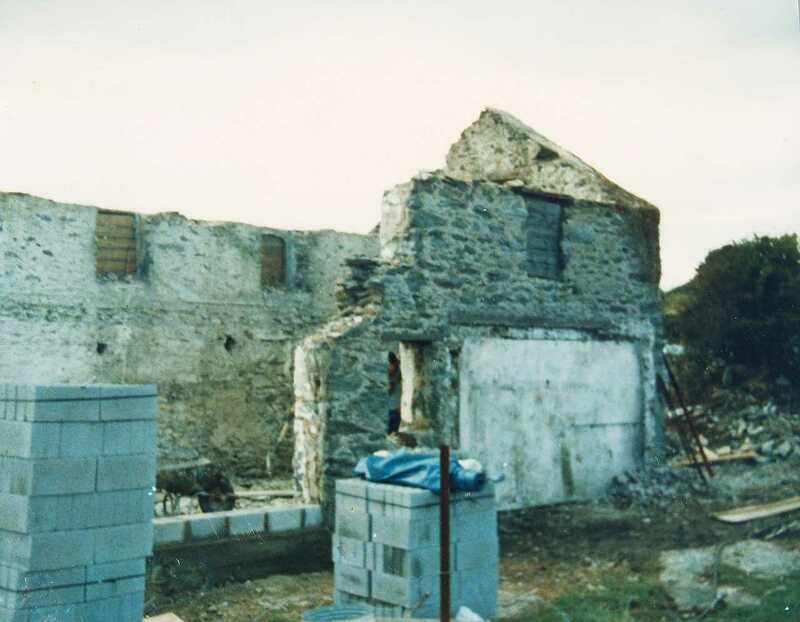 Alan tells me that even as they were converting the granary barn, trapped corn was seeping from the walls. 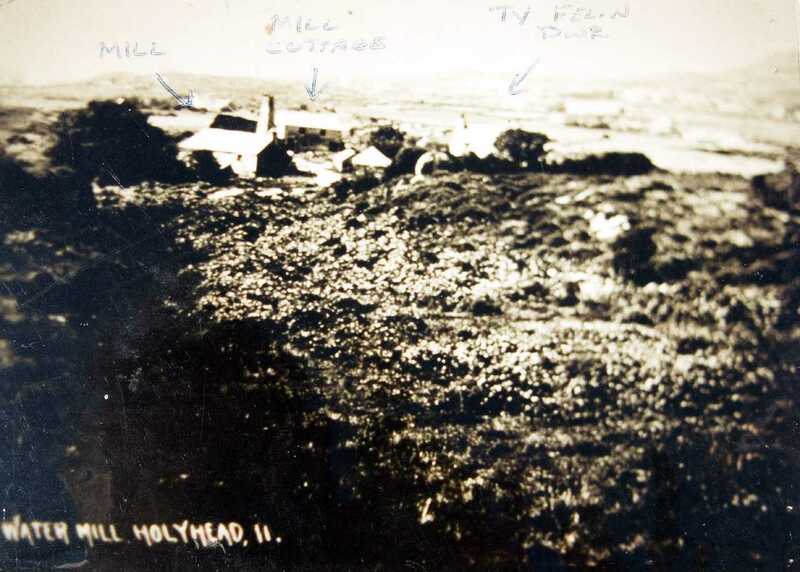 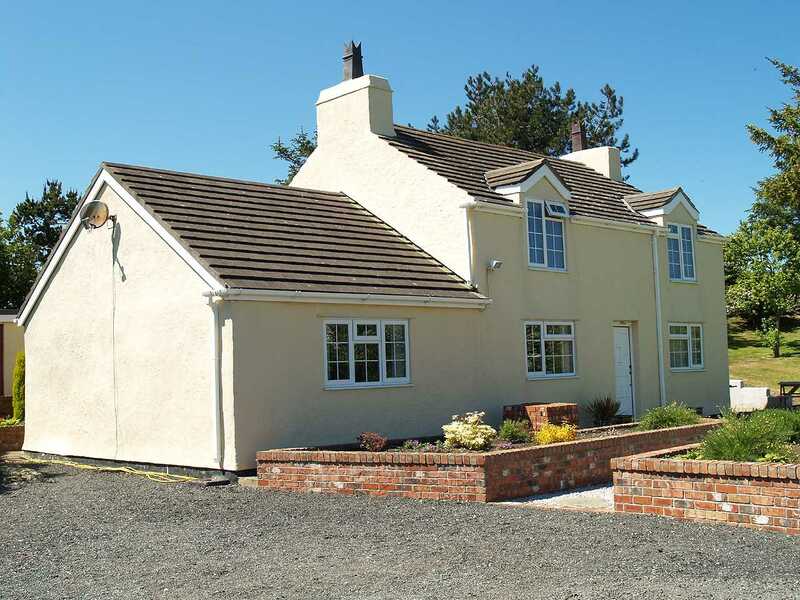 Holyhead, Felin Ddwr - Ty'r Felin - the converted millers house. 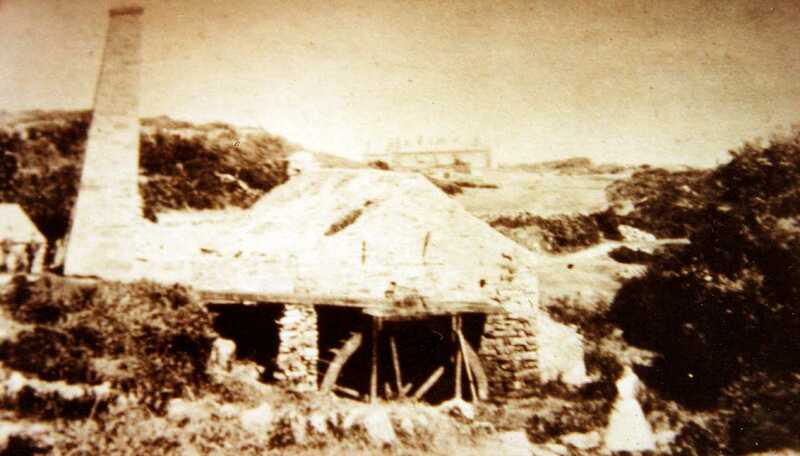 I believe that in the latter half of the 19th century this was also used as a public house, serving ales and spirits to the workers of the quarry and breakwater. 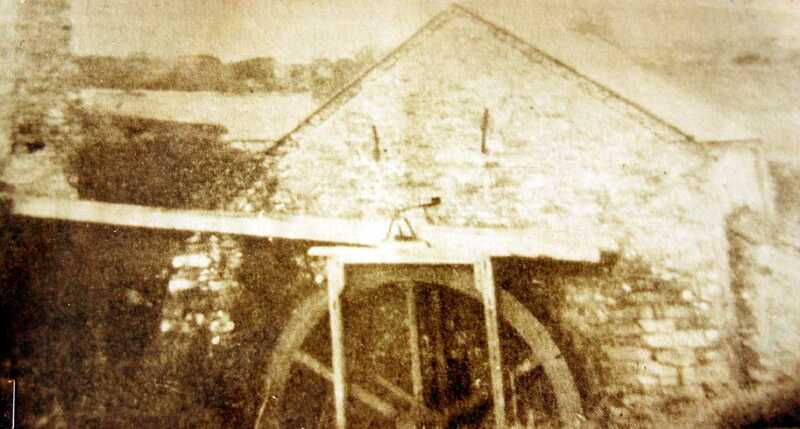 Holyhead, Felin Ddwr Water Wheel - showing that the wheel was powered from an overshot water system.